Left-Handed Oven / BBQ Mitt - Add Some Color To The Kitchen!!! Oven Mitt Includes a Full-Color Design! Want to get a bit more creative in the kitchen? Our sublimated oven mitts will show off beautiful designs in bright and vivid colors! 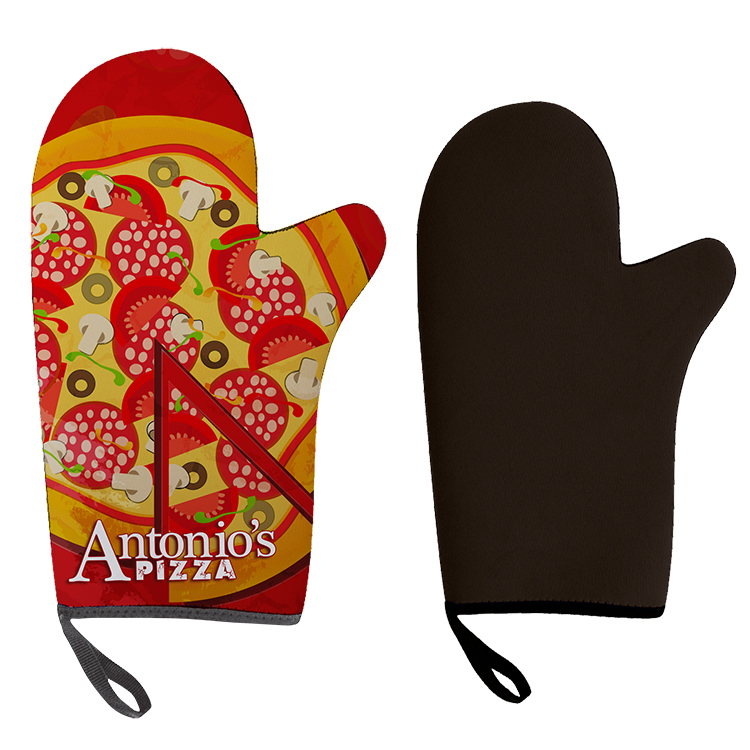 The oven mitt is made with an insulated neoprene material designed to handle temperatures of up to 400 degrees. The material is also textured, which makes it easy to grip pots, pans and baking dishes. Full Color Printing is Included! This is our Left-Handed Version!